Quick Race Through Downtown! 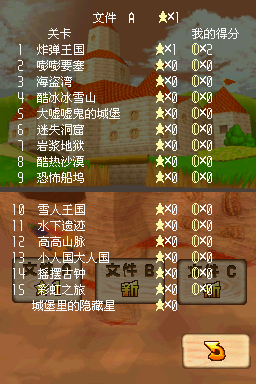 is the sixth mission of Wet-Dry World in Super Mario 64 and Super Mario 64 DS. In Super Mario 64, this mission requires the Vanish Cap to be unlocked, and in Super Mario 64 DS, this mission requires Luigi and the Power Flower to be unlocked. There are two ways to get to the downtown area. One way is making the water level rise as high as possible by jumping into the painting at its highest point; by doing this, the water level will be high enough to jump over the tall mesh fence in front of the player's starting position. Another way is to use the cannon on the opposite corner of the course and fire in through the top of the fence. In the DS version of the game, an additional way is available: playing as Luigi, he can use his Power Flower ability to phase through the fence. Once behind the fence, the player needs to swim down through the tunnel and into the downtown area. Once in the downtown area, the player needs to swim directly downward and touch the Crystal Tap to lower the water level. With the water drained, the player needs to grab the Vanish Cap/Power Flower from the ? Block to the left of the plaza. Once they're invisible, the player needs to run back to the alley they were just in and press the Purple Switch, then quickly run to the wire fence in the corner to the right of the plaza. Once inside, the player has to use the block the Purple Switch created to get onto the structure inside and reach the Power Star. Italian Gara in centro! Race in the center! Dauntaun eul jiljuhara! Run through the Downtown! This page was last edited on September 21, 2018, at 11:58.